Who knew that "one minute a day" of wateris equal to 2,700 gallons a year? I'm trying to get to that level of what they call "dark green" by turning off the tap when I brush my teeth and even collecting water while waiting for the shower to heat up in a bucket to use out in the garden. And of course, I'm a follower. I love their statement about not telling people to give up their SUV but offer them an affordable hybrid SUV. The idea that a company is working to let people live the way they already do, only greener is fabulous! I follow, and my family has started an at home compost bin to help in an effort to be more green! I follow and we started using the reusable grocery bags! We got super cute ones from Disney! I compost yard waste and table scraps to use on the garden, and walk or ride my bike whenever possible. Following your blog, thanks for the giveaway. I'm a follower. I also really liked reading the vision of Evolve. It's so mainstream. Not too tree-huggy (if you know what I mean). I also think they are right that most people want to conserve and take care of our planet, but we're not going to take hugely drastic measures. I love the idea of these showerheads! One thing that i have been doing to be more eco-friendly is making sure I only run full loads in the dishwasher and clothes washer. I also only wash my clothes in cold water. I'm a new follower and we plant our own veggies in the back yard - I love the tip on comment #1 about collecting the water for the garden! To be eco-friendly, I shut off lights when I leave a room, and conserve water by using a re-usable bottle. i love their "vision" it's so real. to do our part to be ecofriendly, i've tried to cut out all the disposable things in my life: no more plastic water bottles, utensils, and bags. i've purchased aluminum water bottles, use real cutlery, and shop with reusable bags. a little bit goes a long way right? I love that they talk about how they cater to normal people, living crazy busy lives who are often forgetful amongst other things. Sometimes this whole issue gets very overwhelming and one tends to feel guilty about everything. We need more products that make living a greener life much easier and suited to our hectic lifestyles!! We on our part are doing a little of everything. We try to take re usable bags wherever we go. We recycle every tiny piece of paper, plastic that needs to be discarded, we try to buy in bulk to save on packaging waste, we use bio degradable laundry and dish detergent amongst other things. I follow you on twitter as bvbabybv. We are just recycling for now but looking into solar power for our home. Save money and the planet at one time...yeah..I would love to save water and energy with one of these showerheads. when filling a bucket with hot water to clean I fill another bucket with the cold water while waiting for it to warm up and then use that water to water all my plants thru my house. At my house we recycle and always take reusable bags when we go shopping. I'm a google follower. I plant my own vegetables and fruits, and also conserve water and electricity in my home. 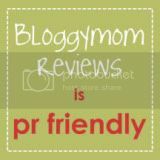 I follow your blog publicly (Bacallsmom). Our housing area just supplemented the dumpsters with recycle bins. I'm going to make an effort to separate out our recyclable items into those bins instead of just tossing everything into the dumpster. I follow and I always use reusable grocery bags, plus I compost all veggie scraps! Following on gfc. I recycle everything possible and drive my car as little as possible. We turn off any lights we arent using and unplug appliances. I've heard of the Evolve showerheads last year I especially love the Lady Bug feature. I do not buy anymore plastic dinner wares and go to thrift stores for any of my home decors. I turn my water off when I shave. I'm following too! I try to do a much as I can to be eco-friendly...I bike places when I can, am starting my first garden this year, and do all the other stuff like recycling and using reusable plastic bags. I love jennifer57's idea to use the water you use up while waiting for it to heat up for watering plants. I love to wear Organic Cotton! we have tried to do a few things in our home to become more eco friendly. We use re usable bags for grocery shopping, use water filters instead of buying water bottles. And we do not water our lawn unless needed. We recycle and compost, reuse bags, don't use disposable water bottles and only use CFL and rechargeable batteries. I follow, and I am totally in sync with Evolve's philosophy. They believe their products are good for the environment, and what I try to do in my everyday life is aboid harm to the Earth, and use eco-friendly goods and services. I follow and the best and most important thing I do to become eco friendly is to teach my kids about it! We talk about not wasting energy, water, and about how we can grow our own vegetables that are delicious. Very cool company. We recycle, cloth diaper, use reusable shopping and snack bags and such. I have a compost bin in the yard (which the huge lubber grasshoppers seem to love! ), and I recycle. I will continue to try to recycle, cut usage of non-reusable bags, save gasoline, etc. They are making it more difficult here--the only nearby recycling center takes only aluminum, cardboard and waste paper! I am a new follower and I have stopped buying bottled water! To be more eco-conscious I already use low flow showerheads but they are not satisfactorily effective. They are cheap, frankly. I would like to have an Evolve. I'm a follower! I do whatever I can to be eco-friendly. I even have a composting toilet outhouse! Don't be grossed out, it's as clean and fresh as any normal toilet and there's no bugs. I try to do bits and pieces- recycle, buy eco-friendly cleaners and household products, plant a garden...stuff like that! This showerhead would be a perfect addition to my philosophy! I follow your blog as jelaws5. We have rain barrels which we use to water our garden. We do lots! We take reusable bags to the grocery store, we do not use prebottled water and instead have reusable bottles, we do not buy the prepackaged snack food for school but instead use containers that can be brought back home again. i turn of the water while i am brushing my teeth. I'm even considering getting a sensor faucet! ooh I like the ladybug adapter idea that you can use it to adapt the shower head you already love. I am trying to be eco friendly by walking to the grocery store rather than driving - I have brought one of those carts that you push along so that I can do it! I'm following your blog and we cloth diaper in an attempt to be more eco-friendly! My specialty as a reporter was water, yet I was surprised to learn that shaving off one minute your shower equates to 2,700 gallons at the end of the year. I help start the Harford County, MD freecycle group 6 years ago. I don't believe in throwing anything away. I either donate, recycle, reuse, or give away to friends things I know longer need. I do many things online to save paper, fuel, and other resources! I follow publicly. I try to conserve water these last years and re-use and re-purpose things if I can. We have smart power strips so that we aren't wasting energy with items that are plugged in, but not in use. we have been using reusable shopping bags whenever possible. If we do end up with a plastic bag we reuse it for other things until it can not be used any more. I'm following you. To be more eco-frendly, we're using reusable bottles and walking more. For the past several years I have opted to use my bicycle for transportation and only drive the car when absolutely necessary. We time our showers in our house to be eco friendly and friendly to our wallets. following, I conserve water and electricity, reuse things, purchase eco-friendly products, etc. I follow via GFC. We collect the rain water and save it to water out garden. Public follower. I conserve water whenever possible and recycle. We already do things with our water like having a super efficient toilet and we have a drip sprinkler system for our flower beds and garden. i followed you through google friends and went to the evolve site. I have been using CFL bulbs now for 2 years and they do help with keeping the electric usage down. Also we dont leave charges plugged in when not in use. And this year we are going to install sensors that when you leave the room as you go out it senses you leaving and turns out the lights. Also be creative and find ways to reuse things instead of just throwing it away and filling the landfills. I'm a blog follower and I try to be more ecofriendly by choosing the products I buy more carefully! 1. Andrea b follows via gfc. 2. Our shower faucet has the ability to run at full blast or a lower volume, so when I take shower, I run the water at a slower volume. That's how I'm eco-friendly. I visited "evolve" and read their vision. I have found myself using less water by turning off the faucet when I'm brushing my teeth just like they stated in their vision. I have also stopped driving as much and use reuseable shopping bags. I use all natural household cleaners and washing detergent in an effort to be more eco-friendly. Never leave the fridge open or the water running. To be eco-friendly, I recycle, shop at local farm stands and farmers markets, use recycable bags when I grocery shop , use coupons to save money. Thanks for the giveaway...following: Brian E.
We rarely use our dishwasher, but as summer approaches we retire it completely and hand-wash all our dishes & pots/pans and save the "greywater" to use to water our vegetable & flower garden. I am following your blog (Charlene). We recycle and try to buy locally whenever we can, thanks for the chance!